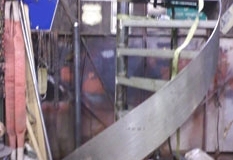 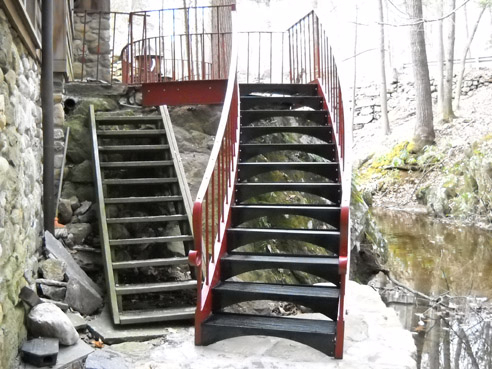 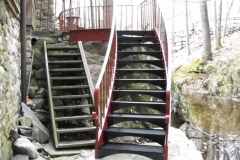 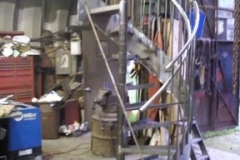 Acadia Stairs makes custom, modern and contemporary curved staircases and steel stringer stairs in NYC, Connecticut, and the surrounding areas. 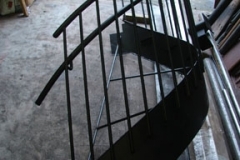 These staircases are measured and fabricated according to your exact needs, so you have a modern or contemporary staircase that fits perfectly into your home. 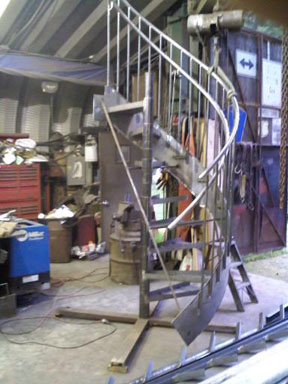 We construct a variety of modern and contemporary curved staircase types and build every staircase according to your mechanical and aesthetic preferences. 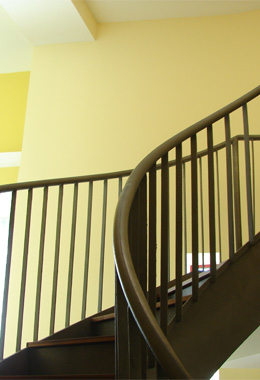 Curved staircases are chic and modern, putting a unique twist on any space. 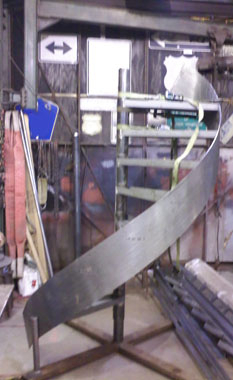 Curved staircases also serve a mechanical purpose in that they can be made more gradual than straight stairs. 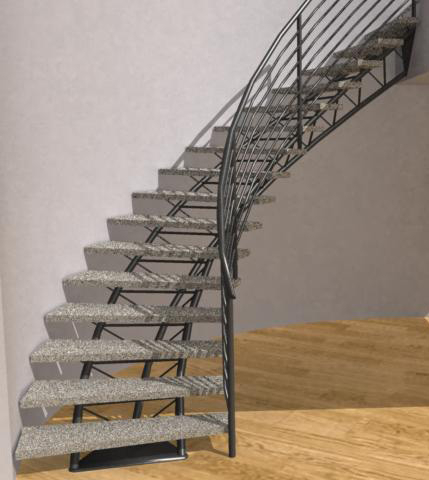 Curved stairs differ from spiral stairs because they do not require a center pole. 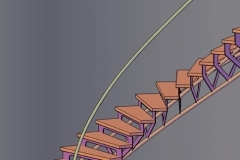 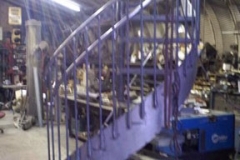 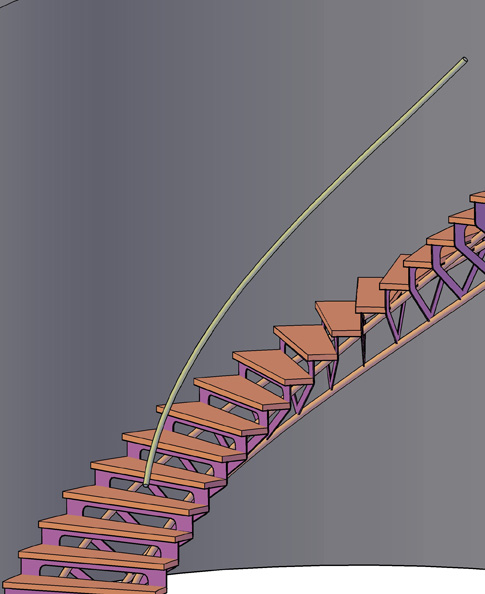 A single stringer stair supported on one curving rod is the most modern, while tri-frame stairs with more supportive parts and the enclosed outer stringer stair are also popular. 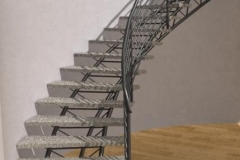 You can see all of the stair types in the gallery. 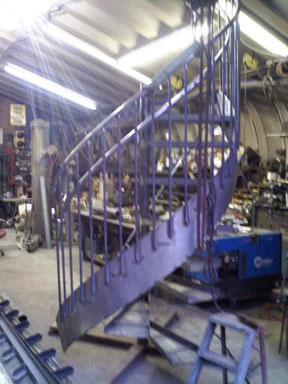 Take a look at the gallery of stairs we have made for previous customers. 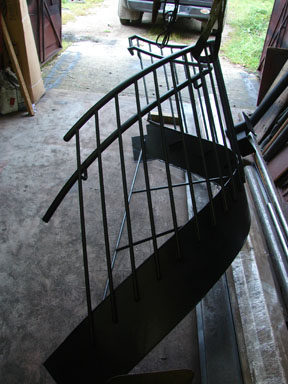 Find a design you like, and we will customize it to suit your home. 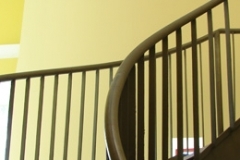 Give us a call today to get started on your staircase.